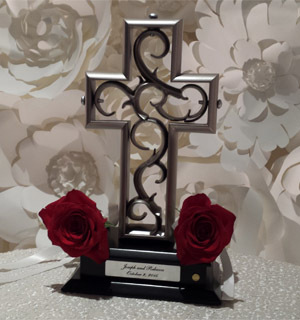 Create a memorable moment with a custom Unity Cross to confirm and remind your promises to your loved one's. 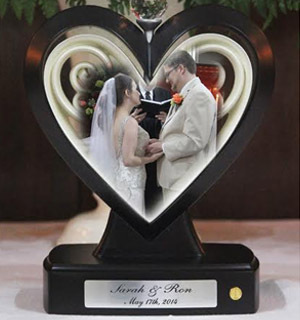 Create a memorable moment with a custom Unity Haert to confirm and remind your promises to your loved one's. With hundreds of wedding ceremonies, Pastor Dave creates an environment focused on the beautiful connection of husband and wife. Affordable Wedding Officiant serving couples throughout Southeast Michigan. From the moment you meet Pastor Dave, you will feel like you have known him for years. As your initial meeting progresses, you will sense his vast experience and background are necessary to present your wedding in a professional yet appealing way. 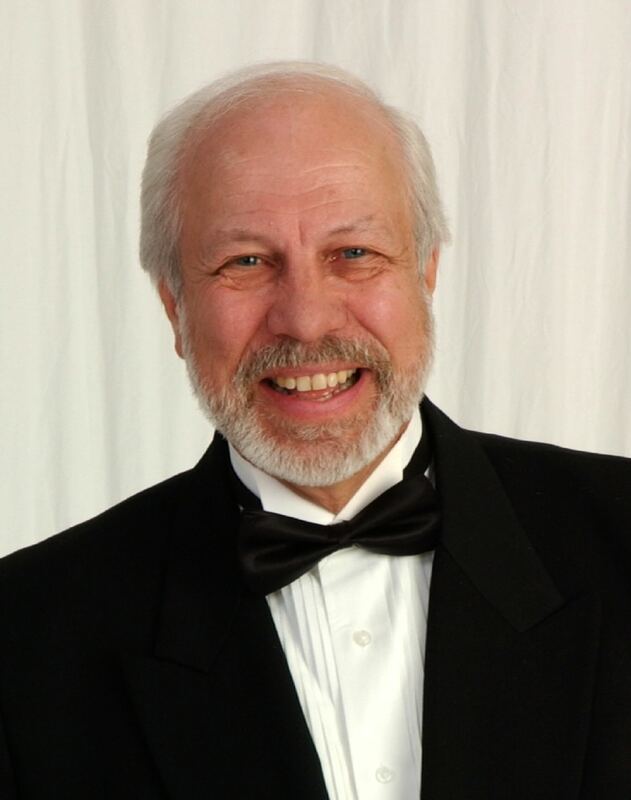 Pastor Dave is very thorough in guiding you through the planning of your ceremony and has an exceptional speaking voice and sense of humor. These are incorporated into the pure beauty of your love commitment to one another. He takes charge at the rehearsal and is very clear in directing everyone through the ceremony as well. His dedication to you and your wedding will make it the special day of your dreams. After searching and searching for the right person to perform our wedding ceremony, we met Pastor Dave. From the moment we met, we felt like we had known him for years. Dave performed our wedding ceremony on June 27th, 2015. We can’t say enough good things about him. From his professionalism to exceptional speaking voice and sense of humor, he was truly exceptional! Our guests made a point to tell us what a beautiful job he did and how much they all liked him. We highly recommend David Hildebrand! Feel free to contact us if you have any questions.